It’s that time of year again! 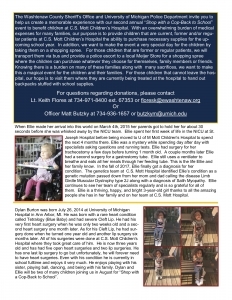 The WCSO, UMPD and C.S. 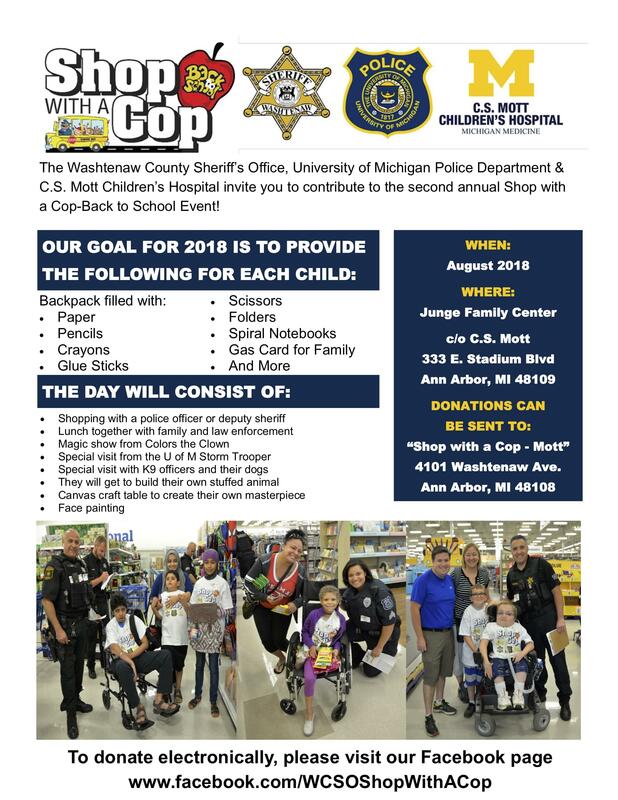 Mott Children’s Hospital are coming together for our second annual Shop with a Cop – Back to School Event to benefit children who are part of the Mott family. Please check out our flyer and consider donating to this great event. 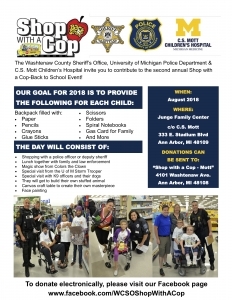 Donations can be sent to “Shop with a Cop-Mott” 4101 Washtenaw Ave, Ann Arbor, MI 48108 or you can donate electronically by clicking the “shop Now” button on our facebook page. Thank you in advance for donating to this special event.